Avivo is situated just blocks from Chicago and Franklin avenues’ notorious Thrones Plaza in Peavey Park – a park that, for decades, has been pestilent with drugs, prostitution and muggings. Formerly known as RESOURCE, Inc., Avivo stands as a shelter from the neighborhood’s storm. 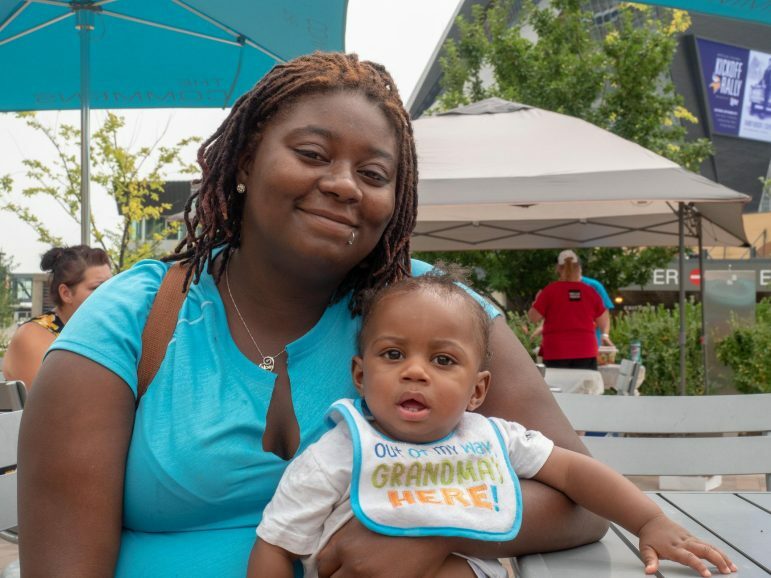 Since 1960, the chemical and mental health services center has been providing solutions to the problem, offering holistic, culturally responsive care, transitional housing and, even, a backpack giveaway. The center annually aids some 18,000 individuals. 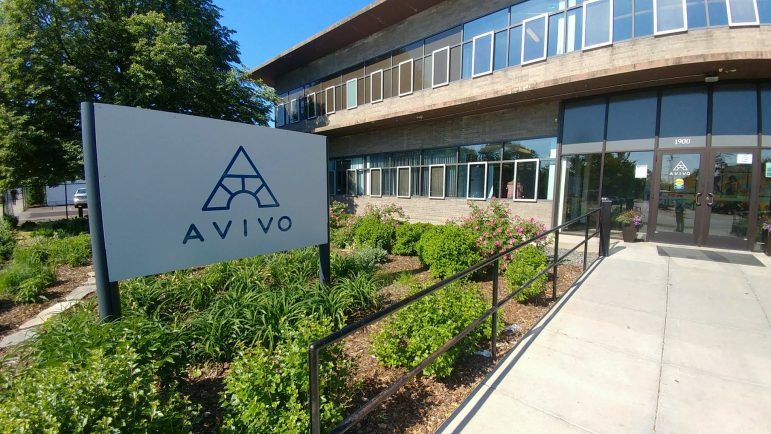 Its location is not lost on Avivo President/CEO Kelly Matters, who notes that being close to the action runs a risk of losing clients and, in fact, clients getting high while in treatment. While Avivo sits a stone’s throw from Thrones Plaza’s pestilence, Matters is also quick to emphasize the good side of that location. “There’s also a whole community here,” she said. “We have over 200 people working hard at recovery, supporting each other. Peer support [and] alumni, who have been in recovery a long time, stay very active here to help keep eyes on the prize. Program participant at Backpack Giveaway sponsored by Wells Fargo. Teresa Lewis, a senior case manager at the center, looks at it pragmatically. “You can recover anywhere,” said Lewis. “If you truly want [sobriety], you do everything in your power to achieve it. It really doesn’t matter where you live. There is also relapse prevention, vital to recovery – the rate at which people return to drink and drugs is daunting. It’s reported that less than 20 percent of patients who receive treatment for alcoholism remain alcohol-free an entire year. 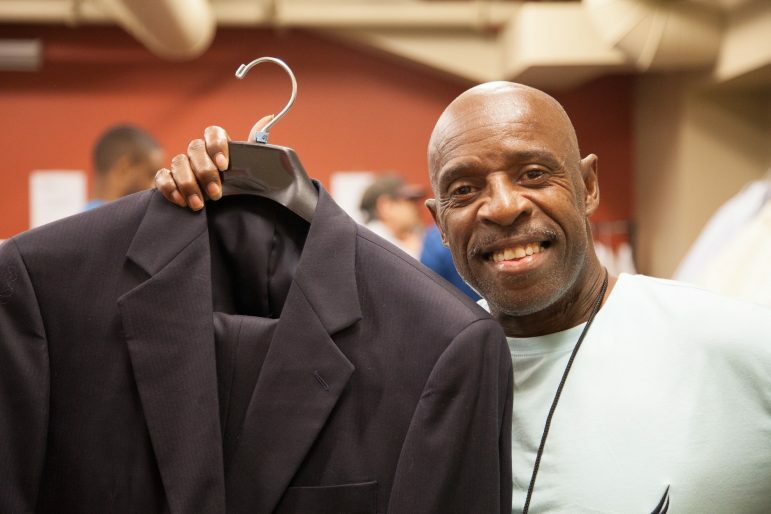 One of a dozen program participants who snagged suits at Avivo’s annual Men's Wearhouse suit giveaway. That is what Avivo client “Veronica” (real name not used) is working on. She used to roam Franklin Avenue late at night on a never-ending mission to smoke crack. In March, sick and tired of being sick and tired of the life, she threw in the towel sought the help that was under her nose. This is not her first go ‘round, either. She is one of the addicts who didn’t succeed at the outset but, true to the old saw, must pick themselves up and try again. How is it these days, having left a dead-end existence behind? Accordingly, Avivo stands as a beacon to provide Veronica and its other clients the tools necessary to get the job done. Good piece on the recovery journey. It shows that sobriety is reachable if you want it bad enough. Don’t give up before the miracle happens!